Brown leads the Redhawks in assists and is second in rebounding, He has made a smooth transition after averaging 30 points a game for Shoreline Community College. Before trying to work his way into the starting lineup this season, Seattle U sophomore guard Terrell Brown faced an even bigger challenge: Getting enough credits to get his Associate Arts degree so he would be eligible to play this season for the Redhawks. That Brown accomplished that has been good for the Redhawks. 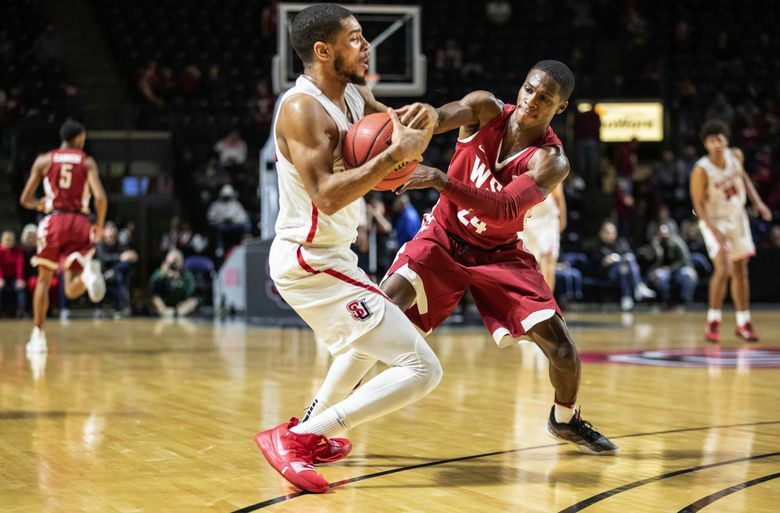 The physical 6-foot-1 guard, who does a little bit of everything, has been a constant during a season in which injuries have derailed the Redhawks in Western Athletic Conference play. Brown is fourth on the team in scoring at 12.3 points a game, first in assists at 4.5 a game, second in rebounding at 6.7 a game and second in steals at 1.2 a game. But as good as Brown has been in his first year with the program, it has been a tough month for Seattle U after entering WAC play at 12-3 and harboring legitimate regular-season title hopes. Those hopes have been dashed as Seattle U is 1-7 in the WAC. Saturday’s 1 p.m. game vs. Utah Valley was postponed due to snow and rescheduled for Feb. 26. Their next game is Thursday at Texas-Rio Grande Valley. The trouble began when forward Matej Kavas, the team’s best three-point shooter and one of its best rebounders, fractured a shin in the first weekend of conference play. That was followed by injuries to starting guard Delante Jones (knee) and top reserves Riley Grigsby (ankle) and Aaron Nettles (hamstring), which is more than the Redhawks, who weren’t deep to begin with, could stand to lose. Brown has not also been fully healthy, playing through a groin injury. Brown said he learned a lot playing with so many great players at Garfield, including Washington Husky star Jaylen Nowell. In practice, Brown was often matched up against Tramaine Isabell, a starting senior guard at Saint Louis. 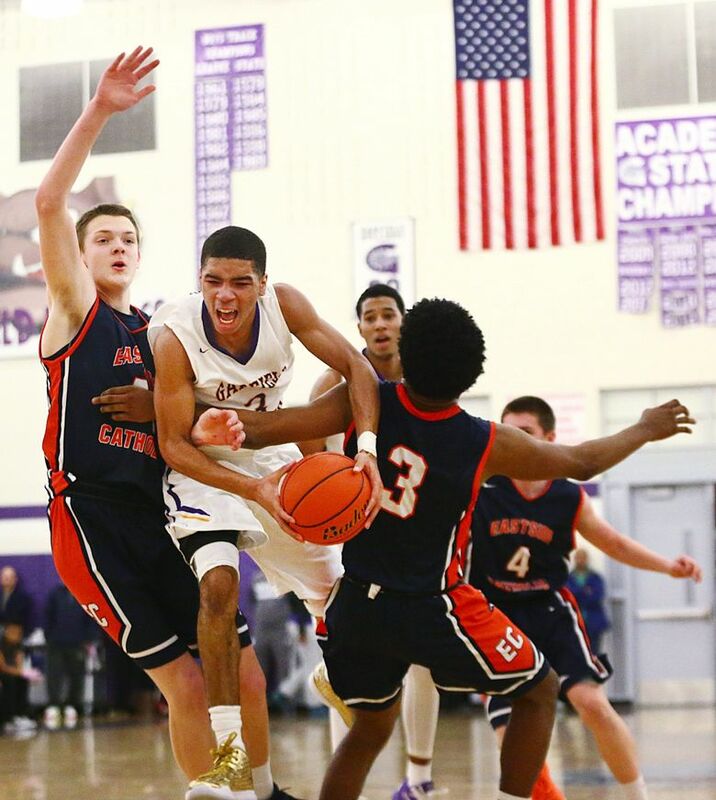 Brown averaged 10 points as a junior and 13 as a senior but was not heavily recruited like many of his teammates. “I was always the glue guy, and I didn’t mind being the dude that did whatever it took to win,” said Brown, who said those traits aren’t necessarily noticed by recruiters. Brown went to Western Oregon in Monmouth for about a month before coming home, not so much homesick, but city-sick. “It wasn’t the right fit, going from a city to a small college town,” he said. Brown began taking college classes at Green River College and got stronger by hitting the weight room. He found a home last year at Shoreline Community College, where his cousin Mark McLaughlin, who was briefly a Washington Husky several years ago, was the assistant coach. Brown averaged 30 points a game, seven more than the next highest in the Northwest Athletic Conference. That caught Seattle U’s attention, and Brown did the rest by going into overdrive academically. “Now is the easy part, taking three classes, after I was taking four and five,” said Brown, who is majoring in journalism and is interested in sports broadcasting. Brown’s route to Seattle U might not have been typical, but he said found a perfect spot. Brown has a knack for getting to the basket and is concentrating on improving his outside shooting. He also takes being a leader seriously and wants to become more vocal. “I want little kids from Seattle to look up to me – maybe he wasn’t highly recruited out of high school, but if you keep going and you keep your faith, you can achieve anything you want,” Brown said. Brown also believes the Redhawks are on the verge of turning things around. “Starting (our next game), we are going to really come together and show people that we are still here, and we’re still a good team regardless who is playing or not playing,” he said. • Hayford said Nettles and Grigsby could return next week. The coach is uncertain when Kavas and Jones will be back.